Enhancing the student experience, and in particular student engagement, has become a primary focus of Higher Education. It is in particularly sharp focus as Higher Education moves forward into the uncertain world of high student fees and a developed Higher Education market. Student engagement is a hot topic, in considering how to offer value and a better student experience. Moreover it is receiving much attention all over the world and underpins so many other priorities such as retention, widening participation and improving student learning generally. Understanding and Developing Student Engagement draws from a range of contributors in a wide variety of roles in Higher Education and all contributors are actively involved in the Researching, Advancing and Inspiring Student Engagement (RAISE) Network. While utilising detailed case examples from UK universities, the authors also provide a critical review and distillation of the differing paradigms of Student Engagement in America, Australasia, South Africa and Europe, drawing upon key research studies and concepts from a variety of contexts. 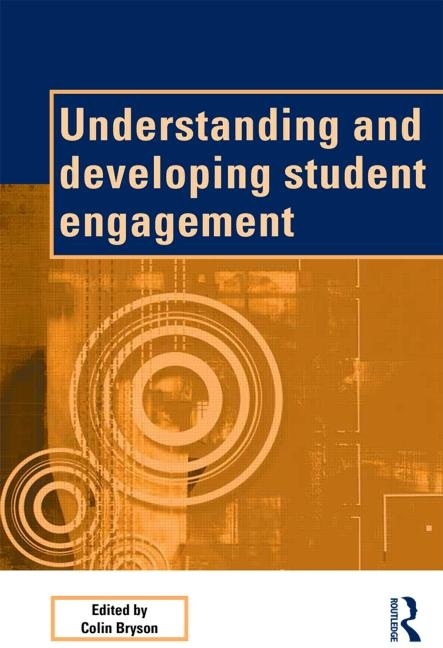 This book uncovers the multi-dimensional nature of student engagement, utilising case examples from both student and staff perspectives, and provides conceptual clarity and strong evidence about this rather elusive notion. It provides a firm foundation from which to discuss practices and policies that might best serve to foster engagement.